Differentiation and engagement spring from purpose. When your purpose is customer success through the provision of your products and services it becomes a galvanizing force for you personally and your organization. When people feel a surging sense of purpose about why their products and services positively impact customers lives professionally and personally they become an unstoppable force. People are looking for meaning at work that goes beyond making money for the company and themselves. Companies focused on creating customer results through engaged employees stand out in a good way and are becoming coveted places to work. You can’t spreadsheet your way to unleashing employee passion. If you think and act like the money story is more important than the meaning story you are in trouble. Money is the output of a multifaceted economic ecosystem. It springs from meaningful products and services made, sold delivered and serviced by engaged employees through a process that honors and values people and profit. You can’t bypass emotion for metrics and the process you use contributes to your results and reputation. People and customers can see through catchy slogans and pitches and are looking for relationships that honor one another, are established for the exchange of value and help advance the customers success. 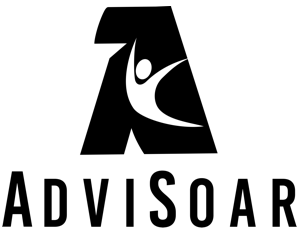 AdviSoar has been investing in people and process that honors people, develops relationships that last a lifetime and brings honor and nobility back to the sales and account management profession. It is really all about your intent and caring for the people you do business with. We would love to talk to you about how to create a differentiated organization and bring meaning back to work.